Poco even used OnePlus’ tagline in a tweet claiming “Never Settle for OverPriced” and announced the exclusive bundle that will be available on mi.com. The bundle, named the Poco F1 bundle in its official website has eight Xiaomi products that you can buy for Rs 37,999 which is the price of the OnePlus 6T 6GB RAM + 128GB storage variant. At the OnePlus 6T launched event in Delhi earlier this week, Poco decided to take a jab at its rival with its ‘Do the math’ campaign where it attempted to highlight how the Poco F1 is a much better buy than the “overpriced” OnePlus 6T. Whether the experience of using the Poco F1 (review) is the same as that of OnePlus 6T (review) is debatable, the fact of the matter is that the Poco F1 is a Snapdragon 845-powered smartphone available starting Rs 20,999. Xiaomi’s trolling didn’t just end there. The company recently announced the “OP bundle” where, you not only get the Poco F1, but also a bunch of other Xiaomi products, at the price of the OnePlus 6T. 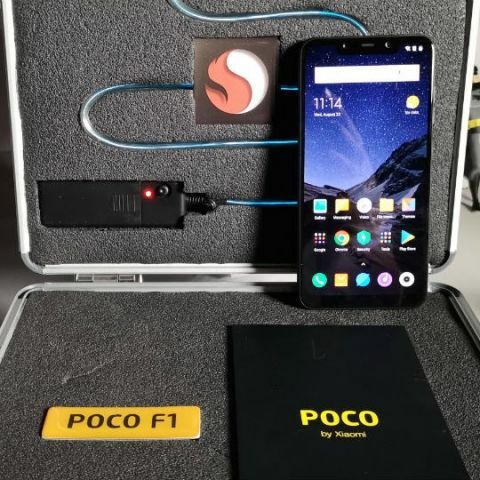 The Poco F1 along with all the other Xiaomi products in the package may look quite attractive, and if you’re in the market looking for all the things Xiaomi has included in it, it’s a good enough deal. However, it doesn’t take away from the fact that the OnePlus 6T is simply one of the best smartphones available right now. The Poco F1 too is commendable for its price to performance ratio, but it can’t match up to the OnePlus 6T in terms of both the experience or the spec-sheet. OnePlus is also the number 1 in the premium segment in India while Xiaomi has next to no presence. It’s Mi Mix 2 announced last year doesn’t seem to be as good as an option as the OnePlus devices it chose to compete with. However, OnePlus is not the only option to look at in that premium segment anymore. Even though the OnePlus 6T offers an all-round good experience, smartphones like the Asus Zenfone 5z or the LG G7+ ThinQ are equally good, if not better. Both phones offer a wide-angle camera while the LG flagship goes a step further to offer a 12-bit HDR display along with Dolby Vision support and is IP68 water and dust resistant with military grade durability.